Everywhere I look, there are people telling me how and why to save my money. I’m smart, but I’m still graduating with nearly $20,000 in debt. And I’m far from the only one. 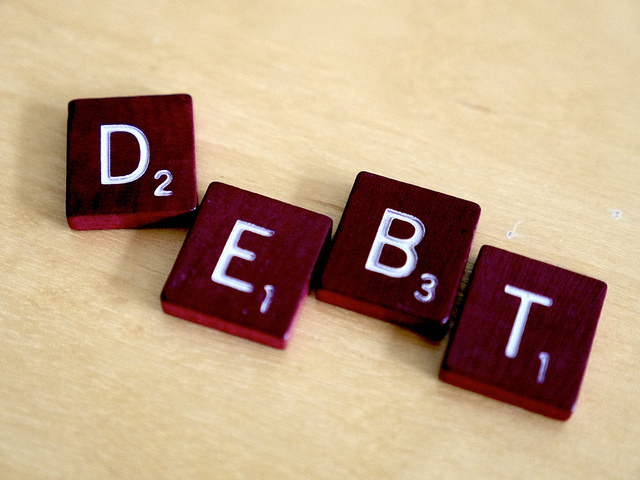 It’s 2014, and the Western world is in more debt than ever before. So, is all this advice really working? “Financial education is not going to have an impact,” says Saul Schwartz, a professor at Carleton University’s school of public policy and administration. “There’s a whole industry trying to get us to give into our immediate desires at the expense of our long-term interest,” Schwartz says. In other words, financial education has very little impact on people’s decisions. Instead of offering long-term financial advice that has reduced impact over time, the authors suggested more efforts focused on “just in time” financial education. That means specific advice tailored to an individual’s immediate needs. That’s the kind of writing Bryan Borzykowski likes to do. He freelances personal finance stories to publications like MoneySense and CNNMoney. Borzykowski tailors his writing with a sense of immediacy for people his age who are starting families and buying homes. “Where can this help somebody? What would I want to know?” Borzykowski says. “Information on what stocks to buy or a tax strategy is useless to somebody who is in fear and anxiety around money,” says Karin Mizgala, a financial coach and author of Unstuck. Mizgala says people are making financial decisions, like putting money into an RRSP, without really understanding what they’re doing. When people are struggling to deal with their finances it’s often hard to take a step back and decide on a course of action. One way to get people to save money is to make it more fun, he says. It’s not that foreign of an idea — take the piggybank. As kids, Norton says, we’re trained to save our money in an exciting way, with the reward of smashing the bank when we’re ready to spend. Adults could compete openly on Facebook with friends, the winner determined by whoever saves the most money. Whether it’s Facebook competitions or financial planning apps, Norton believes the gamification of saving is an important step in the right direction. “We need to change the way we think about what we’re spending,” Norton says.